Finn – Looks at me like I am crazy. Ha! I know he still doesn’t but at least his sister thinks he does. 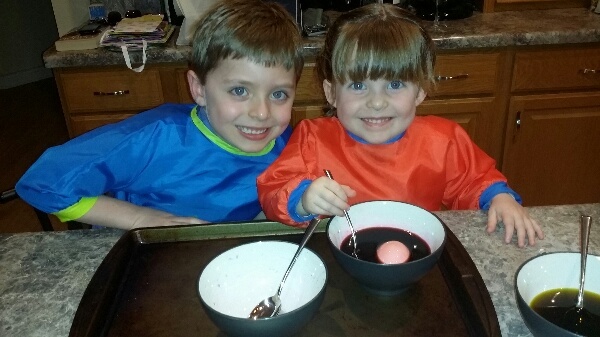 We colored eggs that night as well. 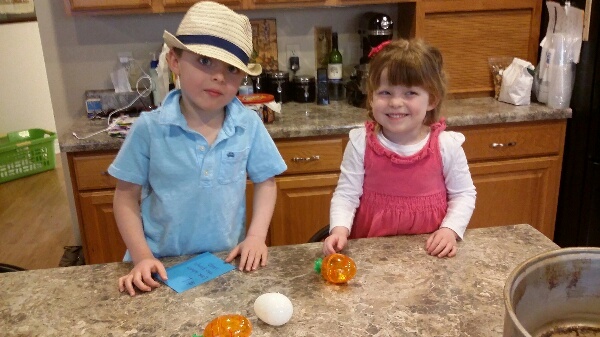 Here is a picture of my sweet babies, coloring eggs. As a child, our baskets were always hidden. 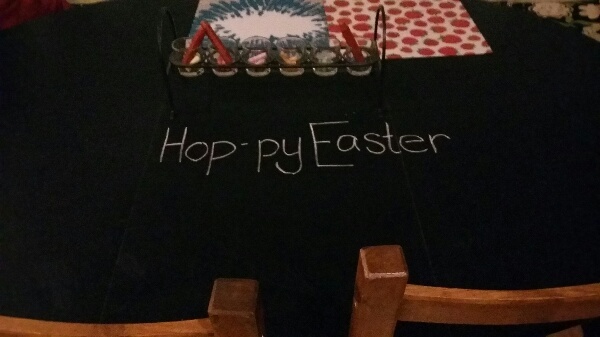 We got to do a long scavenger hunt through the house to try to find those sneaky baskets. I knew that the kids were going to do an Easter Egg hunt the next day during our Easter/Birthday Party bash, so I didn’t want to do it again. 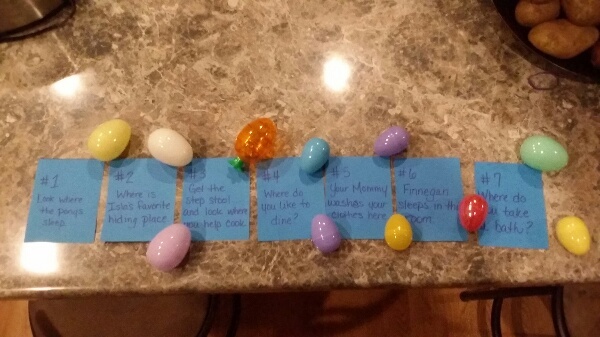 Each clue was hidden with two to four eggs filled with one piece of candy. 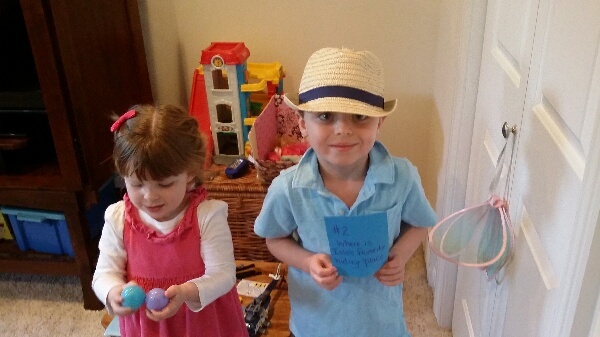 Easter basket hunt…clues and eggs. Our first clue was found on the kitchen island. Notice how Isla really doesn’t care much about the clues, but more for the chocolate in the eggs? Yep, that is my girl. 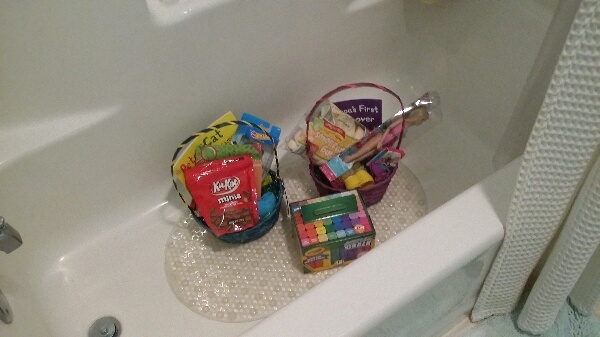 Our sneeky baskets…found in the kids bathtub. It was a fun basket hunt, and even more of a fun day. More pictures of our Easter/Birthday to follow.